Are you looking for guaranteed approval on low income auto loans? Easy approval at low rates is a reality for low income borrowers with Fastautoloanapproval.com. Fill in the secure car loan application form to get low income auto loan - bad credit, no credit is not a problem. Get highly affordable auto loan quotes even if you have no co-signer or no down payment. Cars are no longer items of accessories but, they are tools of survival. Low income should never be a deterrent in buying a car. Apply now on Fast Auto Loan Approval and get ready for low income auto loans. Most people with low income have often suffered terrible rejections from lenders. But, with Fastautoloanapproval.com, you can get guaranteed approval on car financing programs. The company is able to provide easy approval because of its flexible approval criteria. Income is not the only factor that is considered while giving a loan. This means your approval chances are brighter even with low income. Low wage earners need not worry about their bad credit score because Fastautoloanapproval.com has low income auto loans for bad credit borrowers. Leave worrying about any credit issue that you have. No credit or bankruptcy is not a problem for the company. Fastautoloanapproval.com makes sure that car loans become affordable for families with low income. It makes monthly payments easy so that buying a new car or a used car gets very simple. Get the most flexible terms and enjoy low interest rates. Who can fill the Secure Application Form? Anyone including students can qualify for affordable auto loans by filling the secure car loan application form. A gross monthly income of just $1,000 is enough for getting an auto loan. A stable debt to income ratio will help. Fastautoloanapproval.com uses the most secure technology for safeguarding your information. This makes the car loan process reliable. 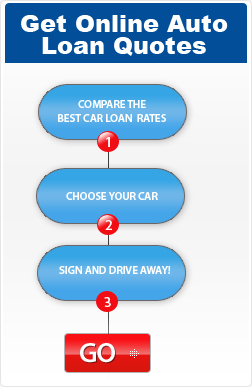 The entire process of getting low income auto loans is online. So, all your work will be done in no time. Apply now and get ready for affordable auto loan approval! Once your application form gets approved, you can discuss loan payment schedules with the company’s representative. Your income is not a problem but your income source can be. The company requires you to have income and employment proof. Your job won’t be providing you with one. So, approval can be difficult. Instead, ask your parents to get a loan for you. You can make payments to them. This can solve your problem. Also, when you check your own credit score, it is not affected. So, it is better if you check your score.